Never underestimate the importance of clear and concise wayfinding signage. 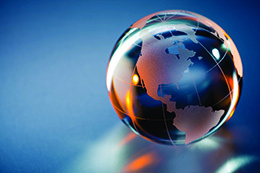 Helping visitors or customers to find their way around unfamiliar places is paramount. 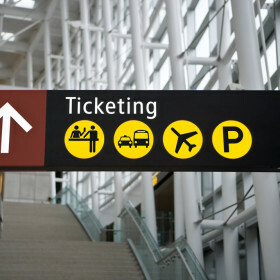 Good wayfinding and directional signs will create a positive experience for visitors. In a retail store, for example, improving the flow of customers is very important to their in-store journey, and how they see a brand. It can have a dramatic effect on sales and foot-traffic. 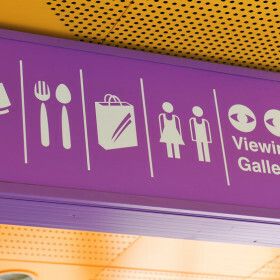 Retail stores can use wayfinding signs to maximize a product’s exposure. And well-planned wayfinding signs will guide customers through a store in a natural, seemingly effortless way, sending them straight to the products they are looking for. 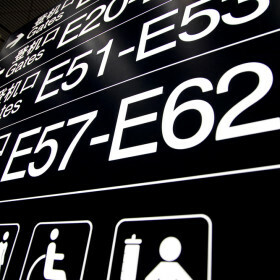 Wayfinding signs are such an important and effective way to assist customers or visitors with navigating their way around with minimum effort. Whether it’s in a retail store or within an office building, or residential development, it’s so important that wayfinding signage doesn’t confuse. Or worse, direct people to the wrong places entirely. Enabling customers to find what they are looking for quickly and easily is a sure-fire way to encourage them to return. 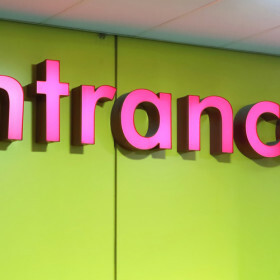 Badly positioned, or unclear signage can leave a lasting and negative impression on customers or visitors. A negative in-store experience will no doubt have a negative impact on a customer’s perception of a brand. That negative impact can last a long time! 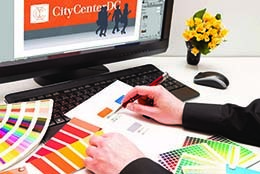 To implement a consistent and positive wayfinding signage solution, expert planning is required right from the start. By using a very clear and concise directional system, AGRetail will design and manufacture an easy-to-understand custom wayfinding sign system. Our wayfinding signs will help to direct foot traffic in the most logical way possible. And, in keeping with client’s brand regulations, integrating colors, symbols and directional markers, wayfinding signs are kept on-brand. Clear communication of important building safety messages is necessary to meet public building safety regulations. 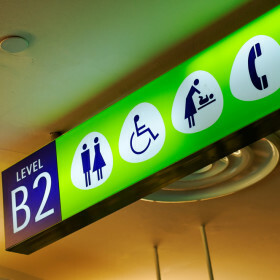 Wayfinding signs for fire exits, staff-only areas, or in-store facilities, are vital. Public buildings must conform to strict regulations on safety information. Luckily our experience of conforming to these regulations spans many years! 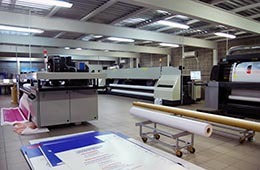 We have installed effective wayfinding signs in a huge variety of buildings and retail environments across the country. We’ll take on the entire process; from planning to install and on-going management. Our teams will make light work of the complex world of directional wayfinding signs, so you don’t have to. We work with highly skilled surveyors and experienced wayfinding planners to deliver clear and effective wayfinding signs across the U.S. 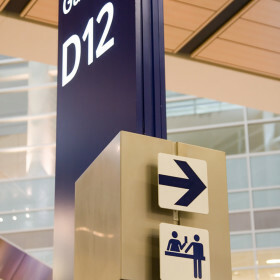 There is an art to making sure wayfinding signage works properly across all environments. 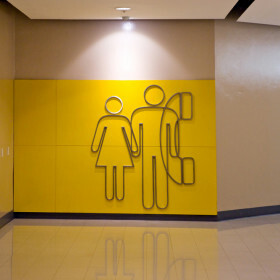 AGRetail is best-placed to offer the most practical wayfinding solutions for any public area.